You may know me from my main site at this blog, but my one (?) 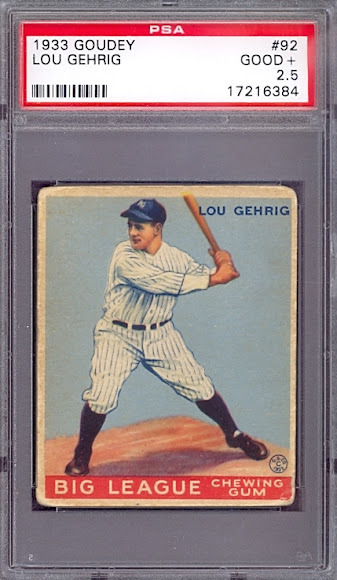 qualifier for geekdom is my collection of vintage baseball cards--really, little pieces of art (some, in fact, hang in a gallery at the Metropolitan Museum of Art). I've been a lifetime baseball fanatic, and I once wrote a book about coaching my son in Little League, Joy in Mudville (Tom Hanks even optioned it). Over the years I've assembled a small collection of vintage cards, though I'm hardly in the class of that most famous collector, Keith Olbermann. My affection for these slabs of cardboard flows naturally out of years as a photog and art lover and author of books on 20th century history--and, of course, love for baseball. I'll post a few more over time. Email: Epic1934@aol.com. Eddie Collins, Sporting News, 1914 Postcard: Still considered by many as greatest second sacker ever. I am a sucker for colorized cards. 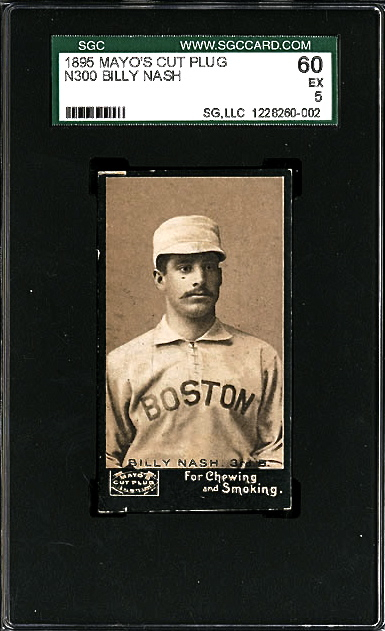 Guy Hatfield, Old Judge Cabinet 1887: These over-sized cards were literally placed in cabinets for display in living rooms. Photography had advanced enough by then to capture about this level of action--a ball tossed in air. 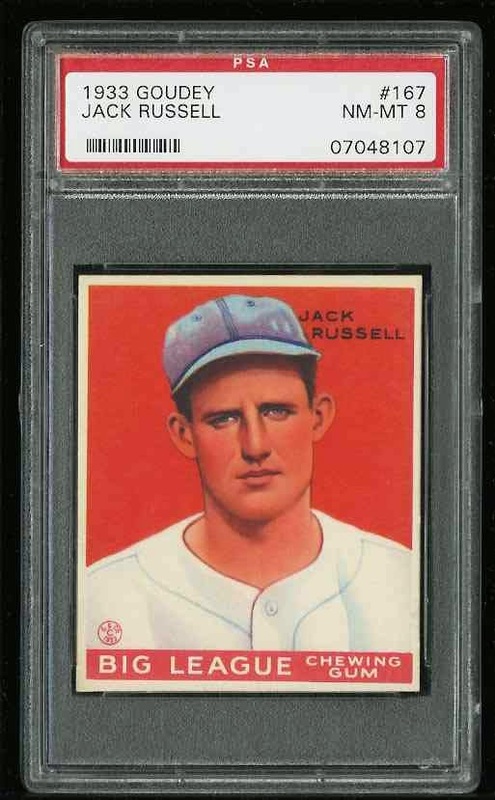 Jack Russell, Goudey, 1933: Not much to say except near-perfect card and my favorite from that year. Dig the blue cap his classic face. Christy Mathewson, Pinkerton Postcard, 1913: If I didn't note it already: Matty was my favorite olde time player growing up. And why not? He pitched for my team then, the Giants. He was heroic. 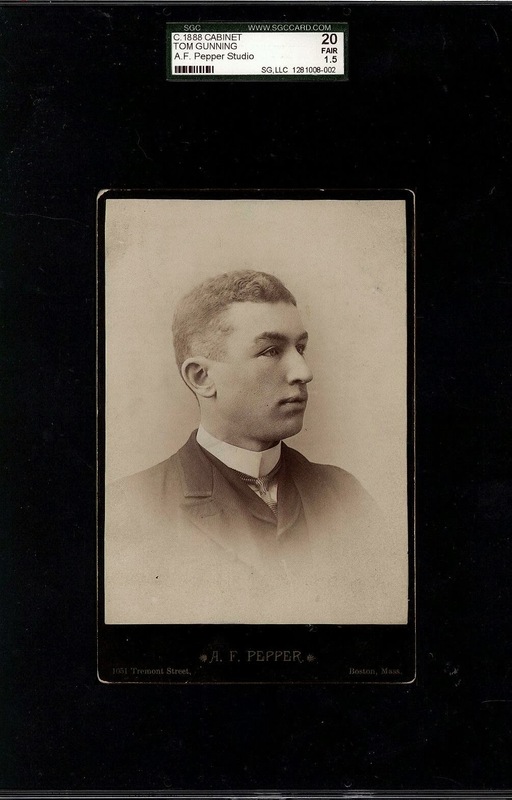 He was cool-looking and went to college, rare at that time. 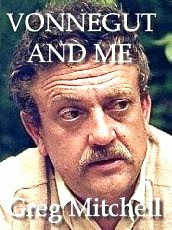 He was the author of several books (I read one). And he died young and tragically based on his WW I service (he got gassed). Now I learn that while at the sanitarium at Saranac Lake he wrote down the names of every type of wildflower he spotted each day--he was that expert. This rare postcard features an unusually dynamic shot. Bumgarner still has wee bit to go to top his World Series history. Ted Williams, 1939-1946 Exhibit: One of my two childhood baseball idols (the other, Willie Mays). Actually got to see him play, from leftfield, in Fenway, about 1958. 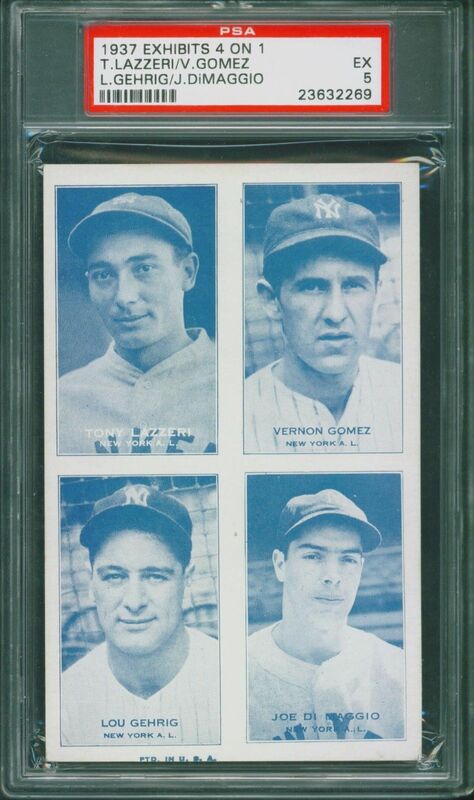 These over-sized cards on stiff cardboard were sold cheaply from machines going back to the 1920s. Not rare, although this Williams card is very scarce. Sepia is nice. 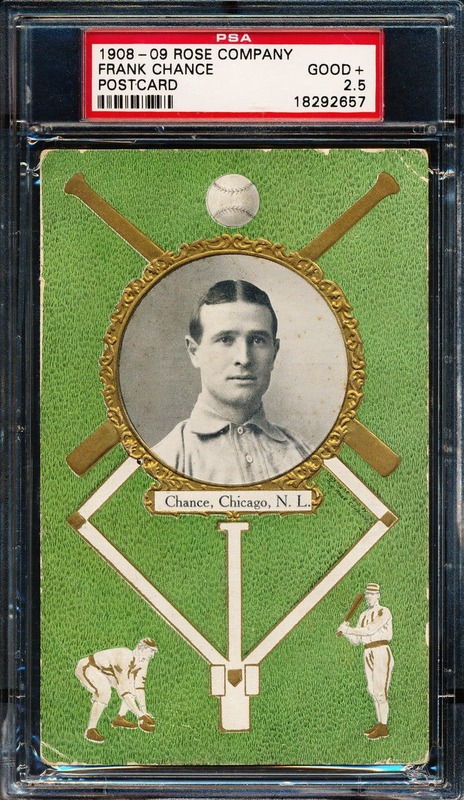 Frank Chance, 1908, Rose Co. Postcard Yes, he's the Cubs' first-sacker at the end of the "Tinker to Evers to...." mantra. A Hall of Famer who became a player-manager. These postcards, as noted down the page, considered among the most striking, rare and coverted. 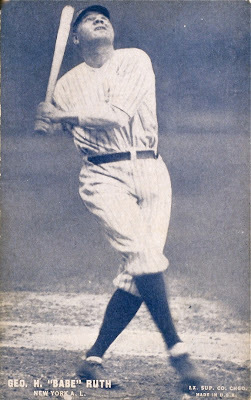 Babe Ruth, 1926-1929 Exhibit Postcard: Just about my favorite Babe pose, from right at the peak of his career. These over-sized postcards were often sold in machines and came in various tints--indeed, "exhibit cards" were sold in this way in arcades and other sites into the 1950s. 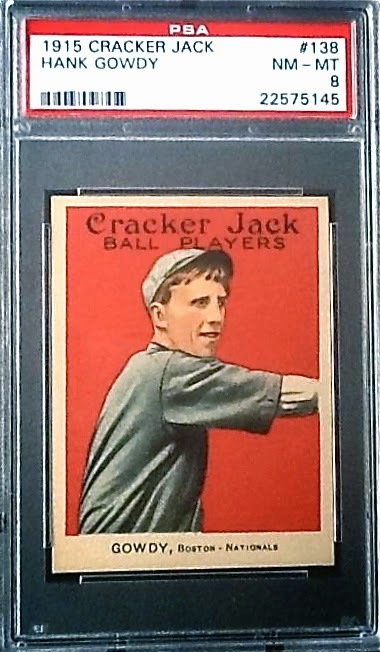 Eddie Cicotte, 1914, Cracker Jack: Yes, it's the most famous of the "Eight Men Out," and played by David Straithairn in the movie. Was a terrific hurler when not on the take. 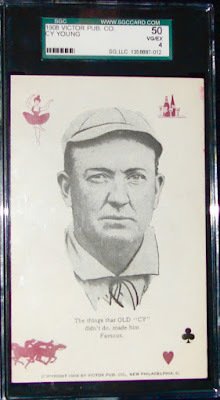 Cap Anson, 1887, Tobin Lithographs: Fantastic cartoon depiction of one of the greatest players and pioneers of the 1800s, also a famed racist who did all he could to keep blacks, such as Bud Fowler, out of the majors. Shortstop, Female Variety, 1880s, Sub Rosa Cigarettes: Yes, they had a league of their own--or at least a mind of their own--even back then. You think Virginia Slims got there first? Another cig company Virginia Brights also produced a card series of women ballplayers. Hans Lobert (? 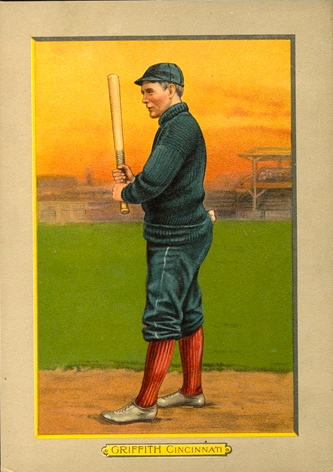 ), Morgan Red Belt, 1907: One of the first hand-tinted cards, and very rare. Yes, Morgan made red belts (hence the tinting). 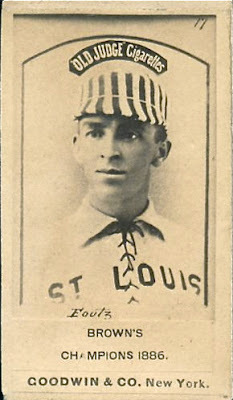 Sleuths have IDed player as Lobert, although he is not named on card. 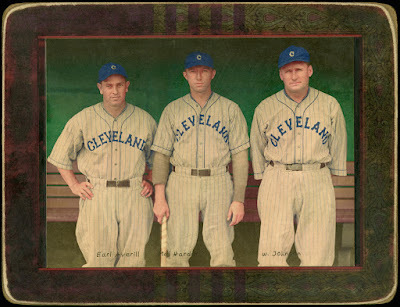 I used to color tint some of my own black and white photos and so I love this in old cards (see other examples below). 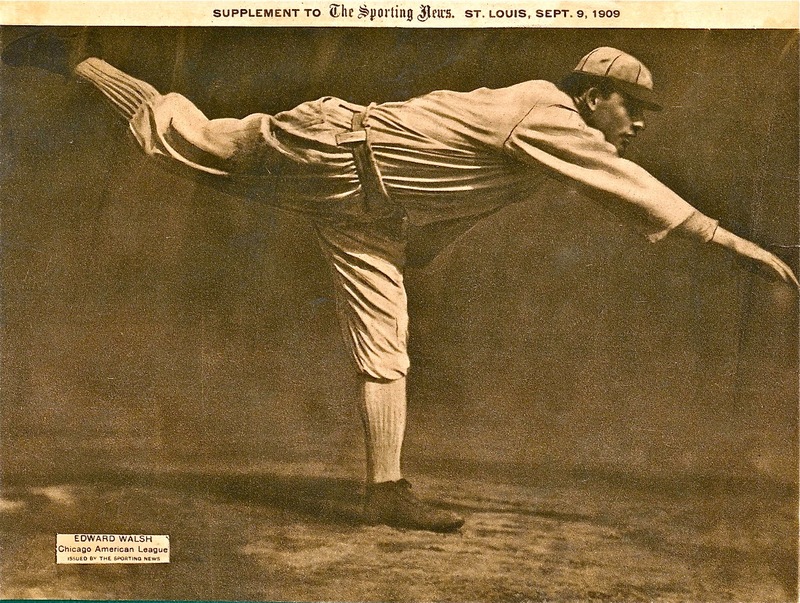 Ed Walsh, Sporting News Supplement, 1911: One of the great pitchers captured in highly unusual photo form, one of my favorites, especially with the brownish toning. The Sporting News was just then supplanting Sporting Life in this baseball field and inserted these large-size prints, on fragile paper, as part of many of the issues as a nice bonus. Hank Gowdy, Cracker Jack, 1915: What a life! 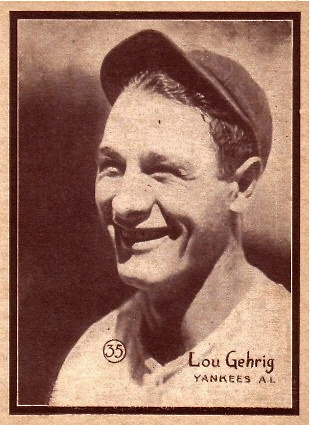 One of best defensive catchers ever, he became hitting star of 1914 World Series with the "Miracle Braves," who still hold record for greatest baseball comeback (more than 20 games behind in July). Went on to become first ballplayer to sign up for World War I service and became a hero in the trenches. Came back and played more years and then volunteered for World War II. Athletic field at Fort Benning still named for him. 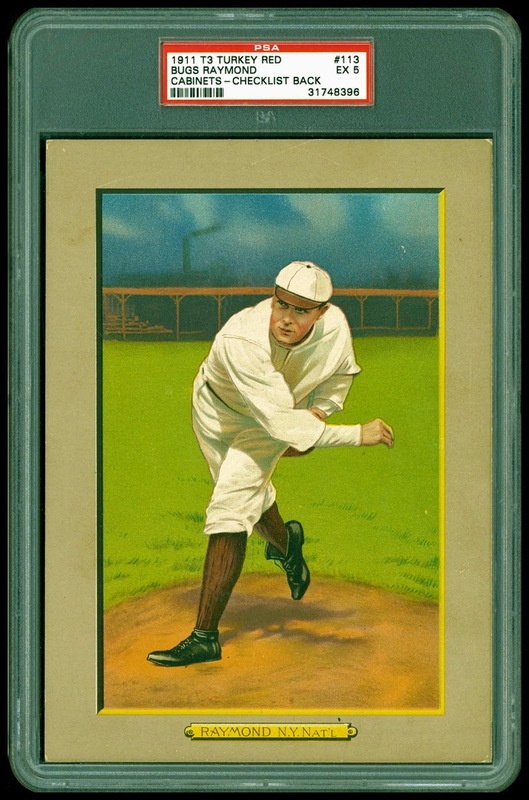 Bugs Raymond, T3 Turkey Red, 1909: One of the most talented and "colorful" early pitchers, hard-drinking to a fault. Not even John J. McGraw could cure him. Fun on the mound with his spitball and antics but not so humorous away from the game. 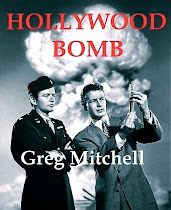 McGraw hired a detective to tail him without getting him off the sauce. Also prone to bar room fights--and got skull fractured in one and died at the age of 30. Chicago White Sox, Postcard, 1910: In some ways my ultimate, combining five of my passions--baseball, art, photography, natural beauty, and history. I was happy to recently obtain this oversized postcard for the cool setting and gorgeous hand-tinting, even before I looked into the back story. It has been variously set in 1909, 1910 and 1911, but it's definitely the White Sox and they are at Royal Gorge in Colorado with something called the "Hanging Bridge" behind them. But what else? Well, it seems (from my research) that the photo was taken, in B & W, by a well-known railroad photog named Beam on Feb. 27, 1910. The Sox were on their way to spring training--in San Francisco. 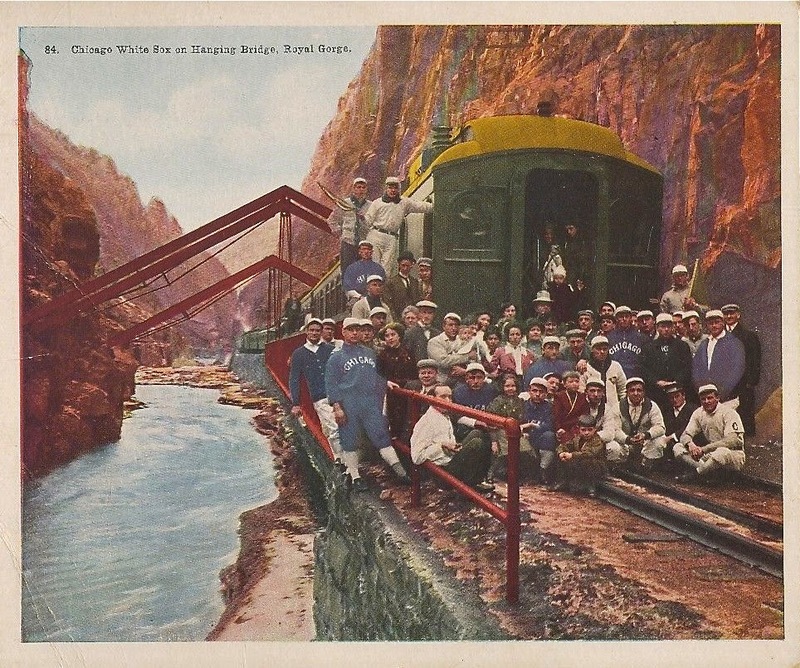 Here's the original caption for the photo from the archives: "Men, women, children, and the Chicago White Sox pose by a Denver and Rio Grande passenger car and the Arkansas River at Hanging Bridge, in the Royal Gorge, Fremont County, Colorado. Baseball team owner Charles A. Comiskey wears a fedora hat." He's the tall guy in rear center. The site is very famous as part of the long and bloody railroad war between two companies starting around 1880, where both sides hired gunslingers, including Bat Masterson and Doc Holliday. The Hanging Bridge, I thought, might have been used for...hangings...but instead it was a unique feat of engineering that could actually carry trains across the river at a place where there was no room for tracks on one side. 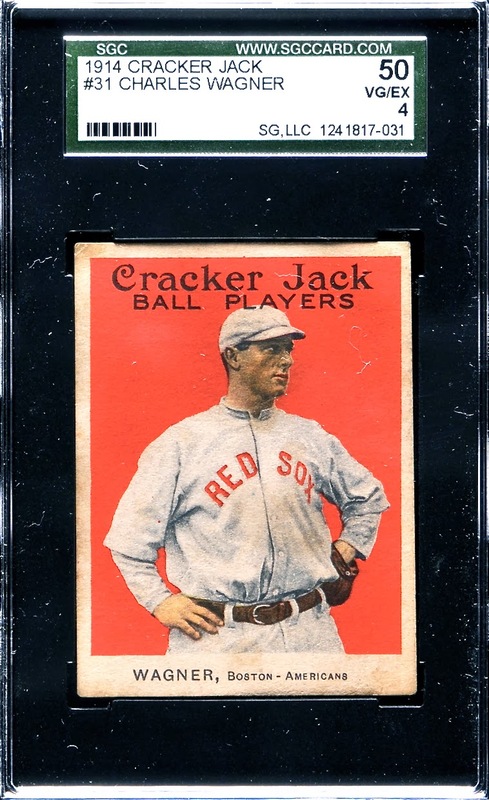 Heinie Wagner, Cracker Jacks, 1914: As I noted somewhere below, nicknames back then were often derived from ethnic origins--all of the Indians were "Chief" and the Germans were "Heinie" and so on. (No "Micks," however, oddly enough.) I love this pose and the old Red Sox uniform, soon to be worn by the Babe. 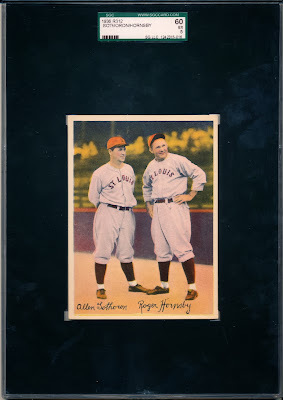 Babe Ruth, Kashin, 1929: See the Babe's slugging twin, Lou Gehrig, in same card down below. His cards are again soaring in value as more appreciate the fact that he did it his way--on hot dogs and booze, but not steroids. Also: would have made Hall of Fame as a pitcher if he hadn't switched to the outfield. Sam Frock, 1907-1909, Novelty Cutlery: Coolest baseball postcard ever produced by a knife company in Canton, Ohio. True, most of the others from this series feature slightly more famous players (Cobb, Wagner, Matty etc.) but Frock, who pitched briefly for the Boston Doves, at least, is affordable. 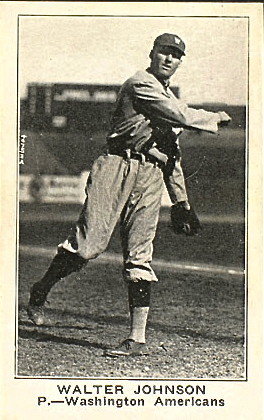 Lefty Grove, 1926 Exhibit Card: Often overlooked today, Grove is easily one of the greatest lefty hurlers ever. This is his rookie card (actually a postcard). It came in several colors, with this dark blue simply swell. Lifetime record for the A's and Red Sox: 300-141. Era: 3.06. And that was in the years of Ruth and Gehrig and Hornsby and Williams and DiMag and frequent .400 batting averages. 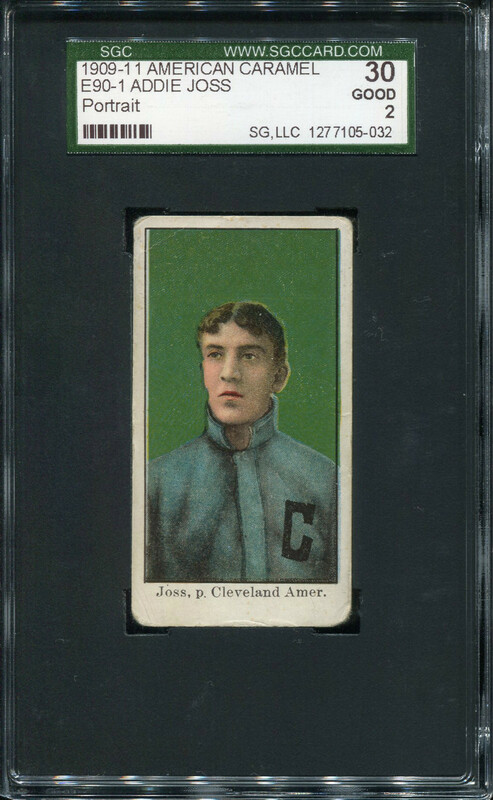 One year he notched 28 wins--and somehow added nine saves. 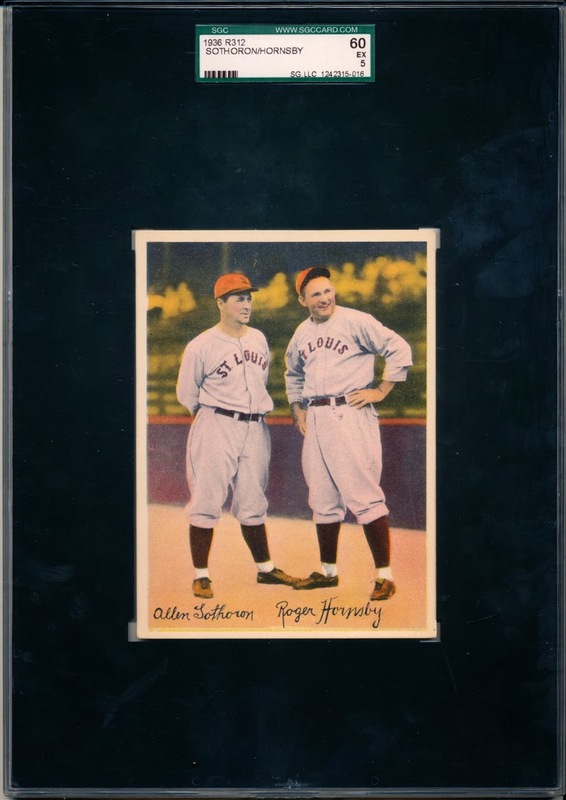 Rogers Hornsby and Some-Guy-Named Sothoron, R312, 1936: That's Rogers--mislabled "Roger"--on right. One of the all-time greats, though much overlooked today (check out those seasons hitting .400). These oversized, distinctive and hand-tinted pastel cards are among the most beautiful ever. 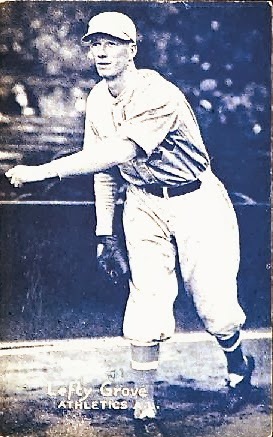 Joe Cronin, 1941 Playball: One of most underrated Hall of Famers. You think Derek Jeter was great? Joe could do it all, with higher average and more power. Also a player-manager and then league official. Can't beat the colors on this card--obviously, my most recent "pre-war" card. 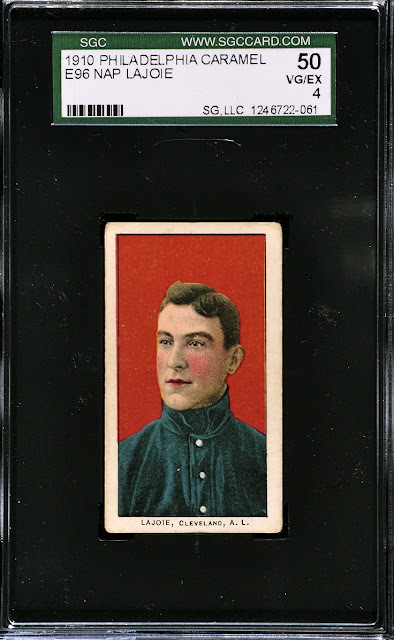 Leo Litschi, 1912 Home Run Kisses: Very scarce card for minor leaguer on the West Coast. No idea what "Home Run Kisses" meant--possibly nothing--but have to love the rare ornate border. 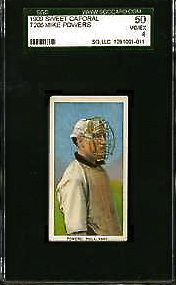 Another popular set of cards, issued annually from 1911 to the 1930s, for Pacific Coast League players is the ZeeNut series . 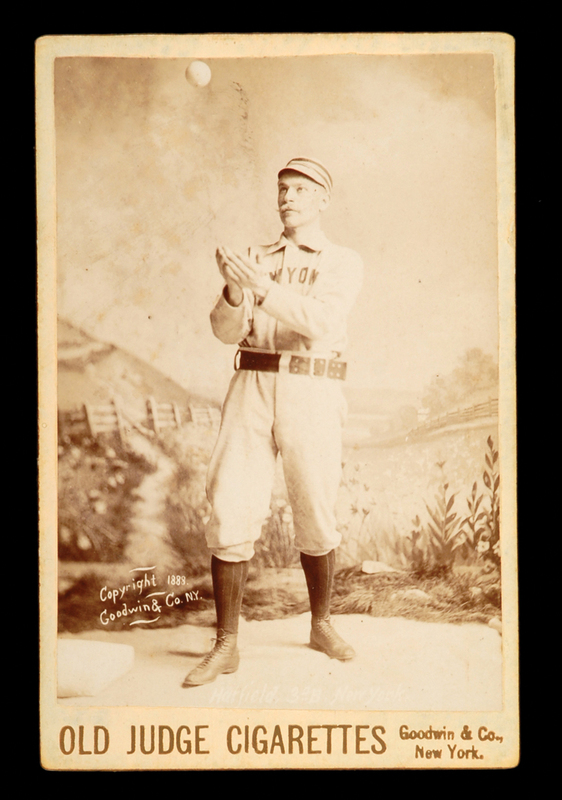 Tom Gunning, circa 1886 Cabinet Card: Yes, even back in those days there were such things as "back-up catchers" and Tom was one, in the classic weak-hitting, 50 games per year model, starting with the Red Sox forerunner, the wonderfully-named "Beaneaters." Cabinet cards were beautiful, often sepia, prints made directly by photo studios and proudly displayed, by adults, in their living room cabinets or wherever. Players often dressed for the occasion in a suit and tie, not their uniforms. Earl Averill, Mel Harder, Walter Johnson, HELMAR card: This company, led by Charles Mandel, with a team of artists, creates new cards in the style of old classics, then distresses them by hand to give them the appearance of well-handed, well-loved keepsakes. The art is often phenomenal and nice, less expensive, additions to a vintage collection. 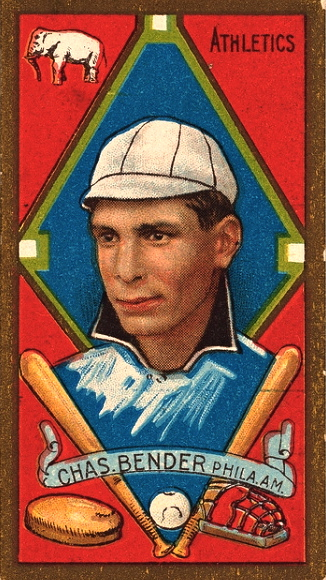 Mandel also publishes a magazine of baseball history and art. 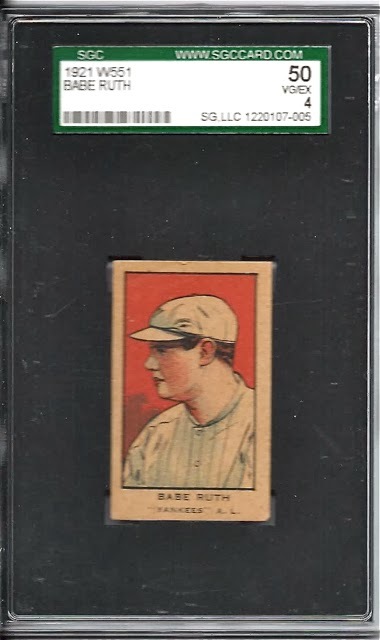 Babe Ruth, W551, 1921: One of his earlier cards after the trade to the Yanks, this is another example of a "strip card"--several players on long strips sold to kids for a penny or nickel or whatever. Then they'd take them home and cut them into separate cards. Hence, very few survive even in this decent shape. 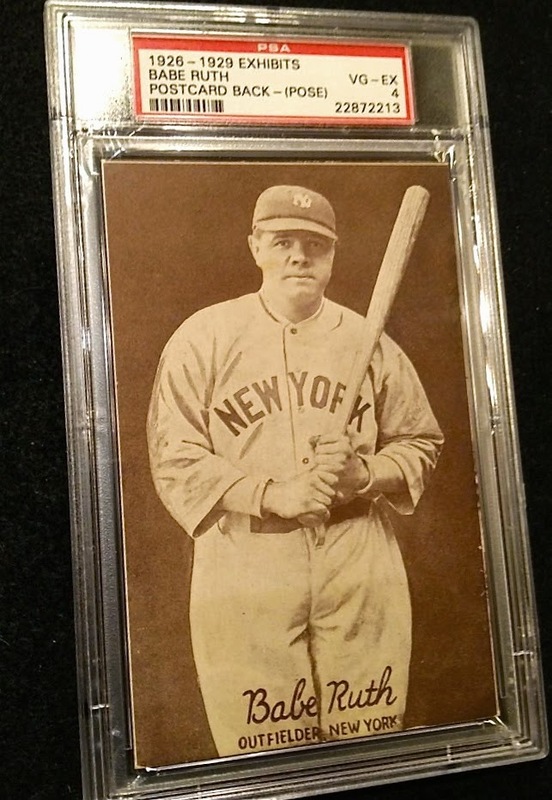 Oh, I think the Babe hit 59 dingers that year, fueled by his own PED--hot dogs and booze. 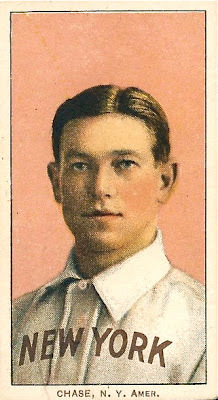 Al Bridwell, T3 Turkey Red, 1910. 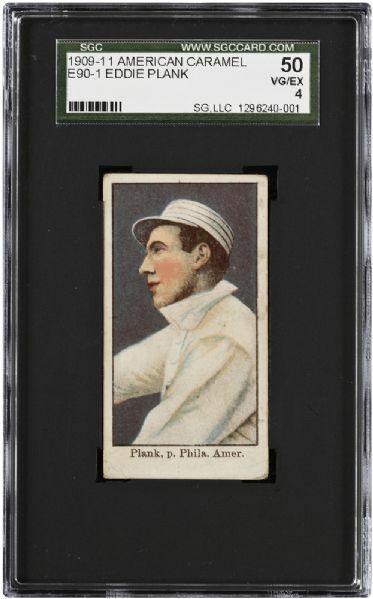 As noted below with another T3, you'd send in a coupon and small amount of money to receive this oversized gem--sometimes described as the most beautiful card series of all. Al Bridwell played on the great Christy Mathewson/New York Giants team. 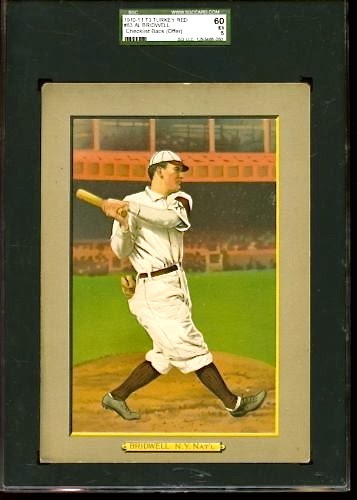 This image is one of my favorites of all the T3s, given his pose and the white uniform--with his fielding (not batting) glove in his back pocket--against the rosy color of the grandstand. Can hardly be beat. 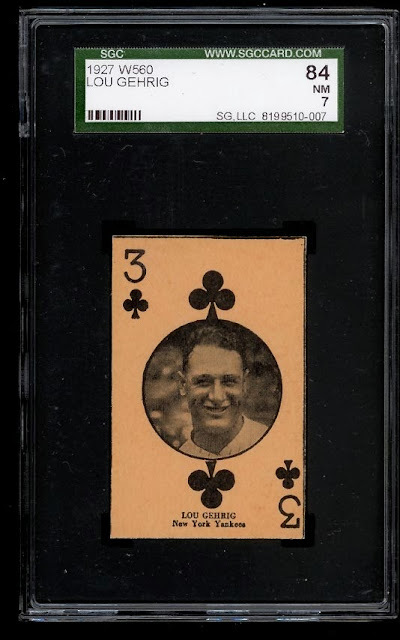 Lou Gehrig, W560 Deck of Cards, 1927: Well, Lou could really club 'em, right? This series featured players on playing cards, meaning any in good shape (like this one) are pretty rare. See other card games below. Chick Hafey, U.S. Caramel, 1932: The last of the cards that came with caramels before gum took over the following year with the great Goudey set. 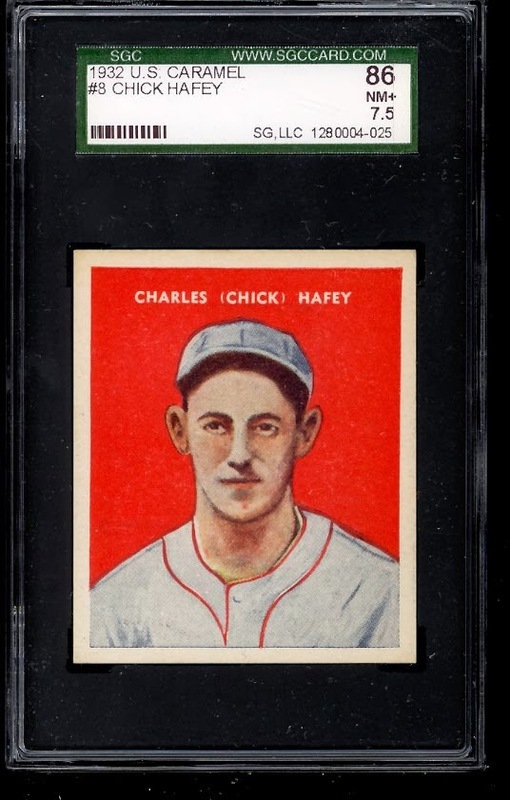 Chick Hafey, of the Cards and then Reds, would go on to the Hall of Fame. 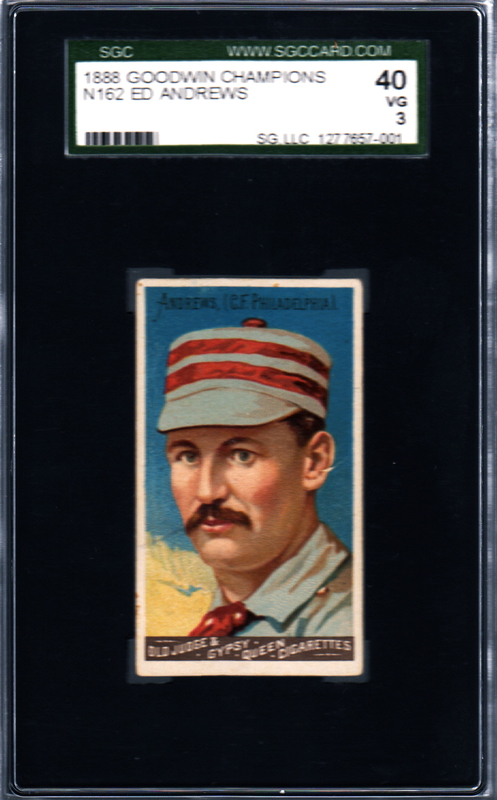 Joe Stanley, Allegheny Game Co. 1904: A true one-of-a-kind (making it a true rarity). The company planned to make what would have been the first ever baseball card game--but it never went into production. All that remains are the single cards for the prototype and I nabbed one. These card games, produced by others, became popular and were the main forms of baseball games until the spinner and dice types arrived. 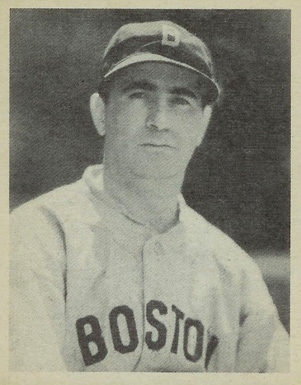 Moe Berg, Playball, 1939: Not the greatest player by any means but a rare Jewish one and....one of the most famous American intelligence agents! 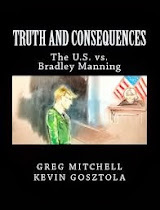 See the book, The Catcher Was a Spy. Walter Johnson, The National Game, 1913: As I mentioned below with a Matty, baseball games of all sorts thrived back in the pre-TV, pre-Internet days, starting with simple card games: you know, deal 'em, and flip 'em over to get result of each at bat. They also featured very cool images of current players. 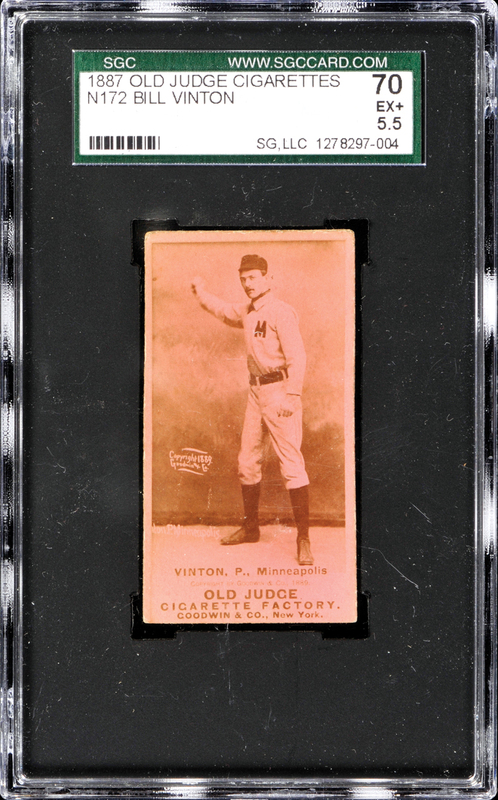 Here's one for the Big Train, in very rare "Gem Mint" condition (only a couple of others may exist). Eddie Collins, M116, Sporting Life, 1911: Not well known by present days fans, Eddie was merely one of the two or three greatest second-sackers ever, in the view of many. 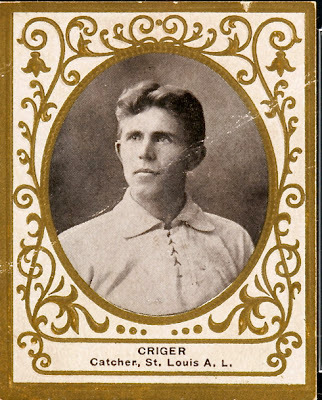 Could do it all, as they say, played on winning teams, went on to manage--and was among the handful of immortals inducted with the first class of Hall of Famers along with pikers Ruth, Cobb, Wagner, Walter Johnson, couple others. This card is from Sporting Life, but this blue/green background is an alternate version and one of the prettiest cards ever. 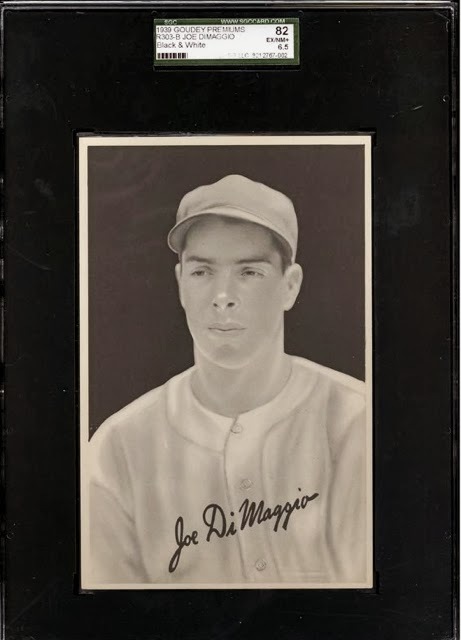 Joe DiMaggio, Goudey R303-B, Premiums, 1939: This over-sized card positively glows. 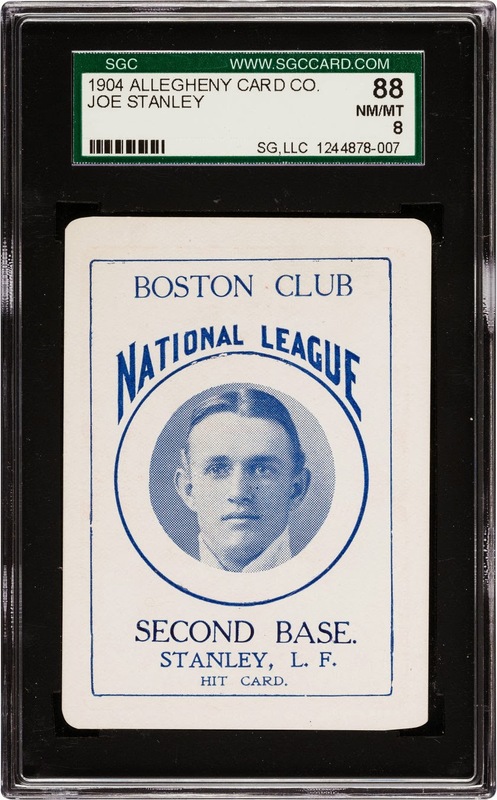 There was a long history of "premiums" in early cards--generally you earned enough points or obtained a special insert to send away for a large-sized "card." Suitable for framing. Larry Doyle, E101, 1909: One of the better, if little heralded, hitters of the era. This card, besides the cool pose and colors, is known for its mystery--no one knows who produced this series so its is labeled "Anonymous." 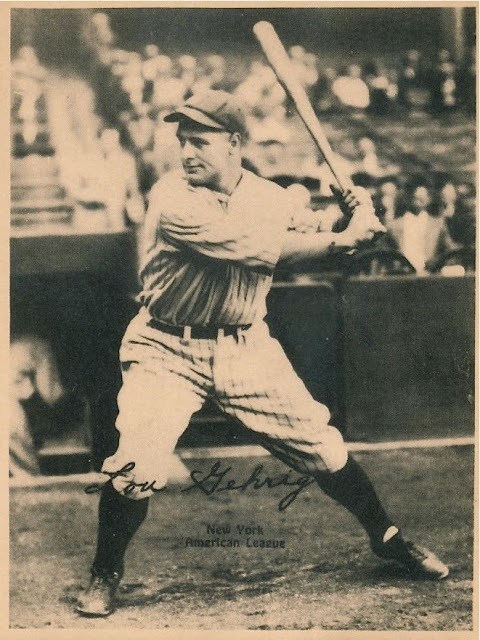 Lou Gehrig, Kashin, 1929: The Iron Horse in classic batting pose. Just been topped by A-Rod for career grand slams. One of worst cheaters in history vs. all-time good guy. Depressing. Then consider the Barry Bonds vs. Hank Aaron comparisons. 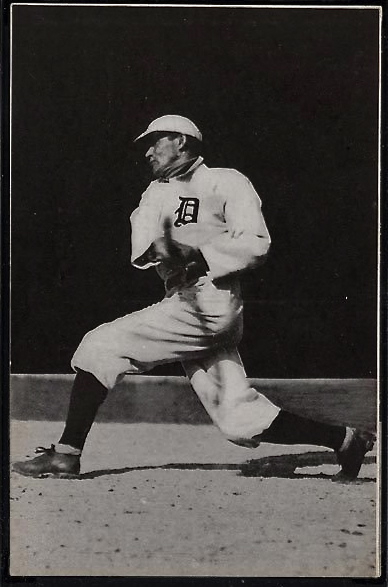 William Coughlin, Dietsche Postcard, 1911: Example of very cool postcards produced locally for teams, this series for the Ty Cobb era Tigers. Coughlin was mediocre player but captain of those greet Tiger teams. Known for his bunting--though you'd never know it from this, one of my favorite action cards. Wildfire Schulte, t206, 1910 Okay, you may have heard of Tinkers to Evers to Chance but who the hell else was on that Cubs team? 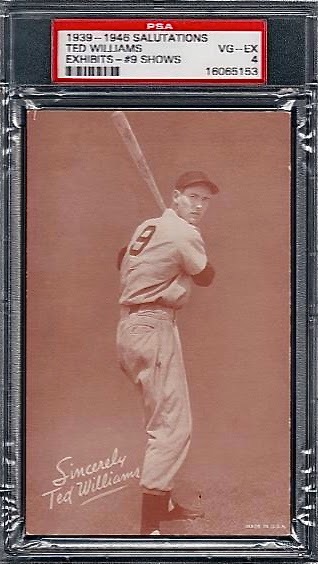 Here is one, none other than outfielder Frank "Wildfire" Schulte, a terrific player in his own right. Led the league in HRs, a couples times, batted .321 in several World Series, etc. 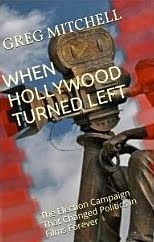 In fact, a second card for him of this issue, a back view (which I also have) was the card at the center of a rathe mediocre Matthew Broderick/Alan Alda film. 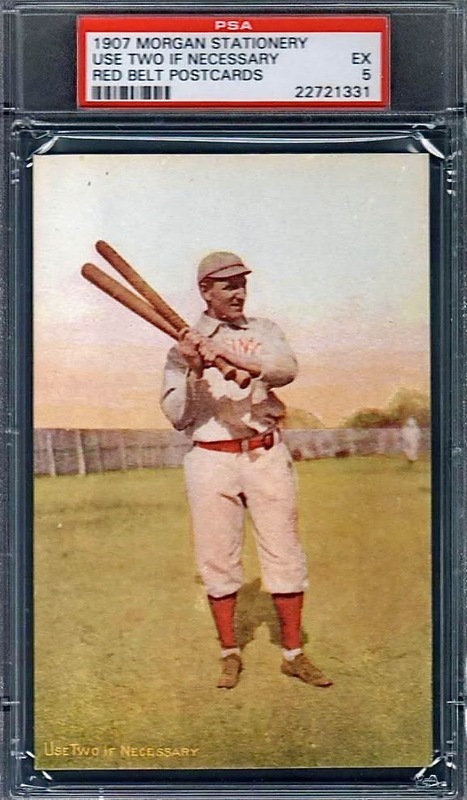 Heinie Heitmuller, American Caramel, 1911: Amazing how many German-American players there were back then--and how many got the nickname "Heinie." (Then again, most of the Native Americans became a "Chief.") Still, a nice card, with great color lithography and "action." This Heinie played for one of the top teams of the era, the A's. Dave Foutz, Old Judge, 1887: Unusual version of this famous series, a subset featuring players on the St. Louis Browns' champs that year. 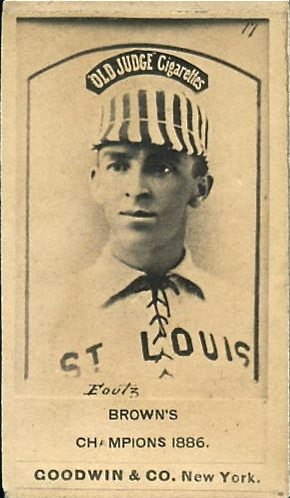 Foutz was a star pitcher (he also played a lot of 1B) who once won 41 games in a season, and died tragically, from an asthma attack, at his mom's house, ending his career in 1897. There were so many tragic stories involving players back then. See Addie Joss and Mike Powers, below, for examples. Hal Chase, t206, 1911: Cool story today in The New York Times on "Prince Hal," from the original New York Yankees, one of the most gifted players ever--also a cheat, who threw games, and had "a corkscrew brain." Eventually banned. 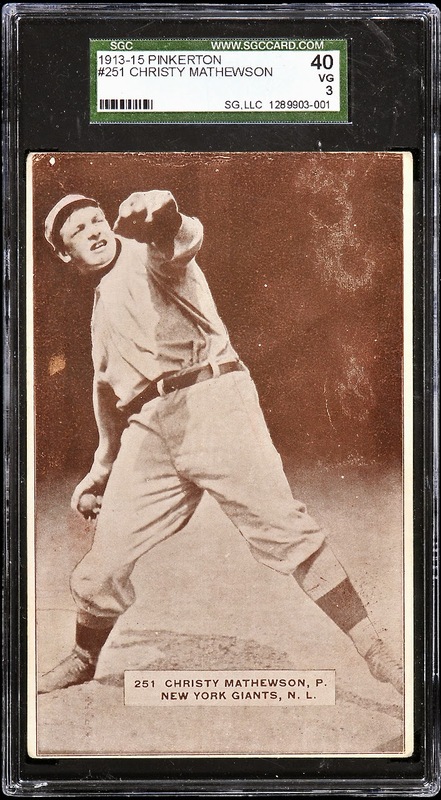 Chief Bender, t205 1909: As I've noted, these cards came in two styles: plain portraits for National Leaguers (see Christy Mathewson below) and these more lively artistic mash-ups for those in the AL. Back in those days, practically any player with Indian heritage got the nickname "Chief." 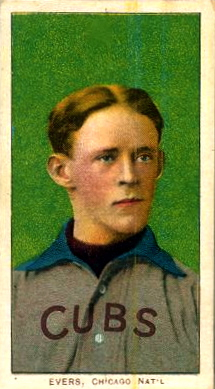 Bender was one of the great hurlers, headed for the Hall of Fame, and is sometimes credited with inventing the slider. He attended the same Native American school that spawned Jim Thorpe--Carlisle--and faced discrimination throughout his career, though credited with being one of the smartest and nicest players ever. 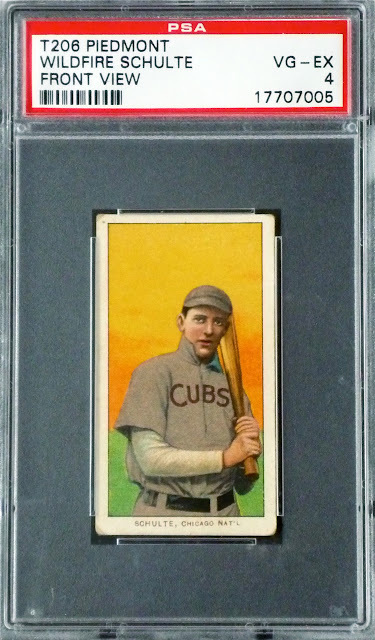 Addie Joss, e90 American Caramel, 1911: Yes, you'll be seeing more cards from around this date than any other type--they are too hard to resist. And, as often the case, they tend to have good stories behind them. Consider: Addie Joss. For eight years he was the best pitcher anyone had ever seen--an early version of Sandy Koufax. (Egads, he was also a sports columnist in Ohio in the off-season and had logged time in college, rare for that era.) Then he was gone. Unlike Sandy, he didn't simply get a bad arm and choose to retire gracefully. Addie died from tuberculosis menigitis in April 1911 at the age of 31, ending his career with the 2nd lowest era, and best "WHIP," in history. 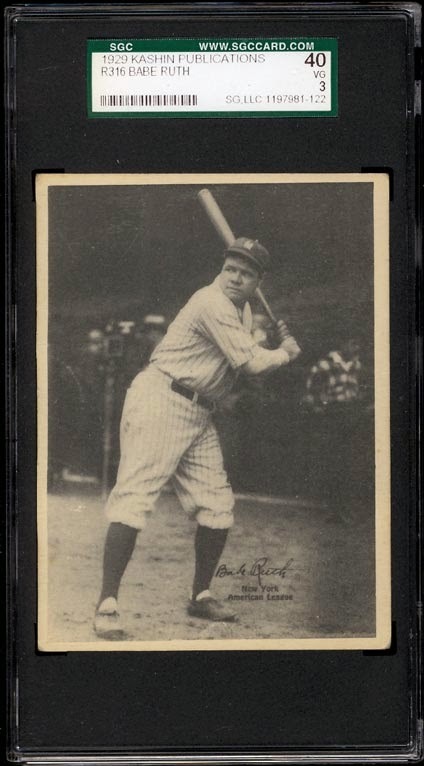 Babe Ruth, Exhibit Card, 1928: These photo cards, popular starting in that decade, were about the size of postcards but had blank backs--not even the usual ads for cigs or candy. Of course, the Babe was target number for collectors. Most of this type were black and white but the tinted ones were far nicer. 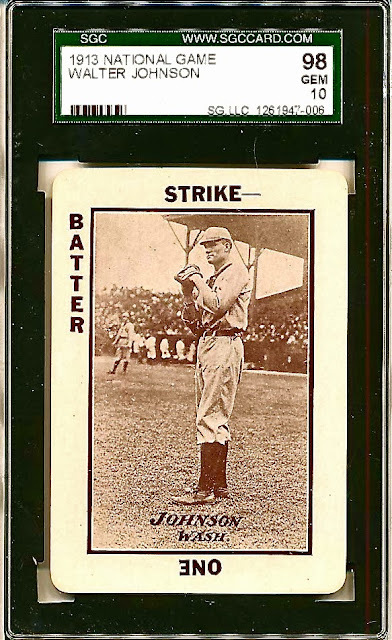 Johnny Evers, t206, 1910: The most famous of all the vintage cards, of course, are the "t206s" thanks to the notoriety and expense (some in the millions) of those Honus Wagner varieties. He supposedly objected to getting placed in a cigarette pack, or just wanted more dough, and so his card was pulled early. 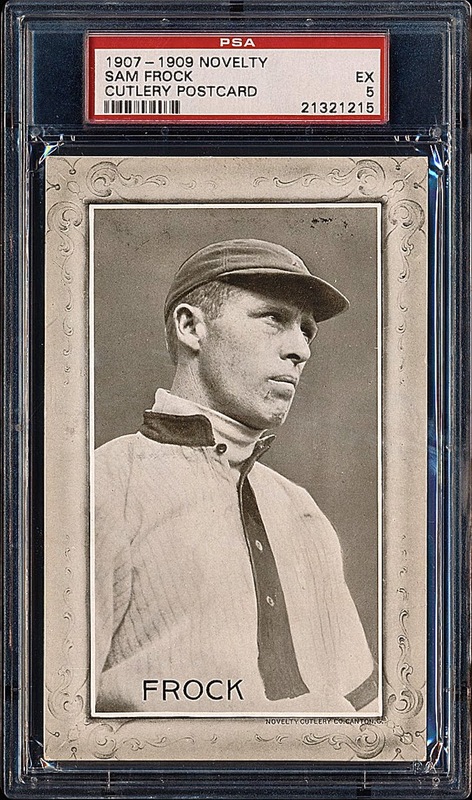 But there are dozens of (more) spectacular cards in the set, including this one for the Hall of Famer, Johnny Evers (here without the other members of famed trio, Tinker and Chance). Lou Criger, t204 Ramly, 1905: These are wild-looking cards with a gold inlay design meant (apparently) to reflect the "Turkish" tobacco in Ramly cigarettes. Criger was a fairly anonymous catcher on the old St. Louis team in the American League. Napoleon Lajoie, Philadelphia Caramel, 1910: He had one of all-time coolest baseball names--and was also one of the greatest players. His other names "Nap" and "Larry" don't quite cut. This lithograph, however, always will. Note: Most of the card backs simply held ads (some quite attractive in their own right) for cigarettes or candy--while others included stats or a mini-bio. I'll post a few later. 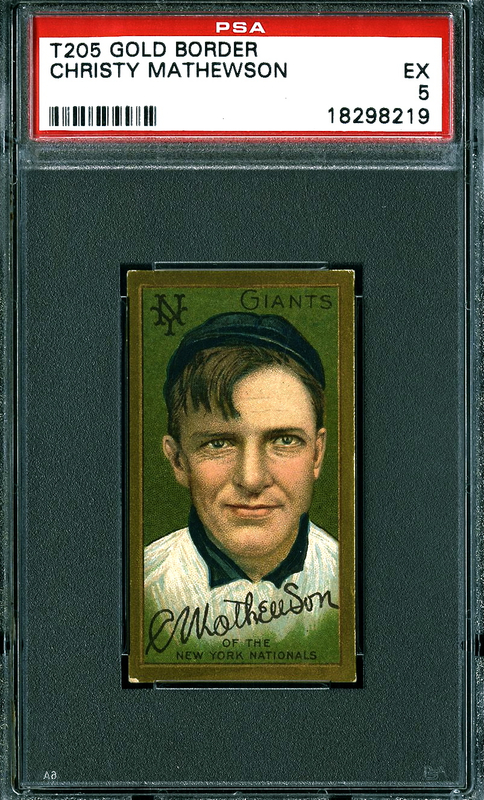 Christy Mathewson, t205, 1909: The most beloved pitcher of all-time naturally received the finest National League portrait in this set, which is known for its "gold borders." On some the gold is pretty shiny and on others (such as here) no longer in evidence. The American Leaguers in the same set got a more jolly, colorful, design with team symbols, bats, catchers' masks or other jazzy adornments. Eddie Plank, American Caramel, 1909: Eddie, like Lajoie, is not much remembered by today's fans but he remains one of the greatest lefties (and I don't mean politically) in the history of the game. This features your classic card lithography from that era, with a rare purple background. 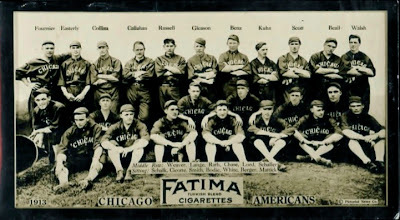 Chicago White Sox, Fatima, 1911: The vast majority of old cards showcased individual players, via lithography, but team cards utilizing black and white photos were also popular. 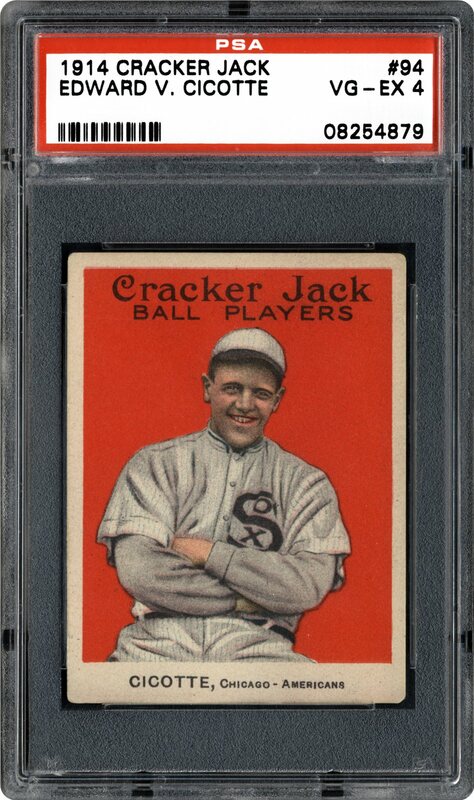 This one is a particularly nice one, thanks to the black uniforms, and also because it stars Hall of Famers such as "Big" Ed Walsh and Eddie Collins--and a couple of the soon-to-be "disgraced" Black Sox. Bill Vinton, Old Judge, 1887: These were among the earliest and most famous of the 19th century cards. 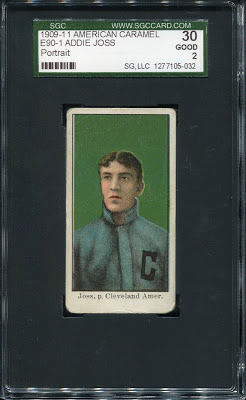 Usually they are sepia or just plain brown, but this card is one of the nicer of the scattered "rose"-colored variety. 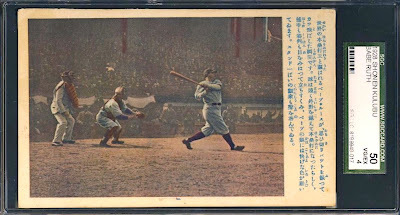 Babe Ruth, Shonen (Japanese) Post Card, 1928. 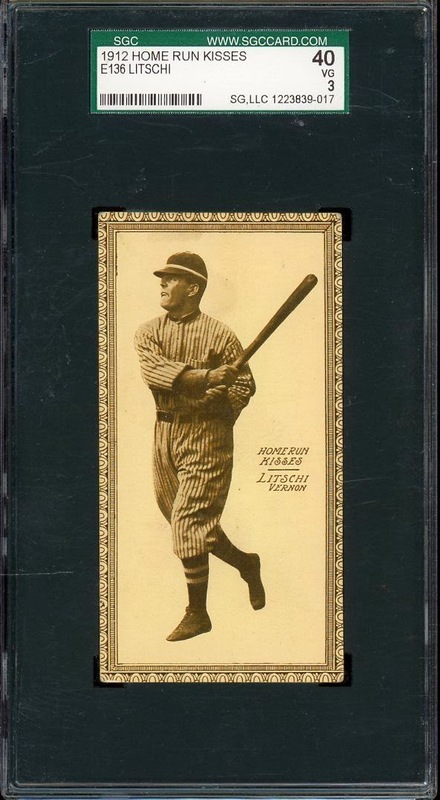 This scarce card combines my passion for baseball--and Japanese art. Wonderful hand-tinting here, plus blue lettering and the back has no writing at all. This supposedly shows the Babe hitting a dinger on opening day that year. He was already a god in Japan as it was starting to go baseball mad. Billy Nash, Mayo's Cut Plug, 1895: The level of photography had taken a big step up since the Old Judge day and these also featured an unusual and quite striking black border. 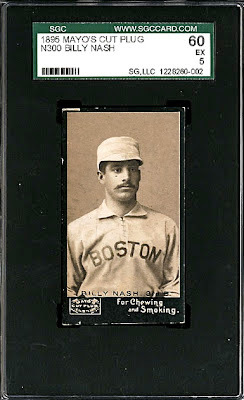 Nash, by the way, couldn't hit but was good enough to start at third base for many years and, I believe, he still holds the career record for errors. However: His fielder's glove back then was not much bigger and thicker than your oven mitt. Doc White, Rose Co. Postcard, 1908: I don't collect many postcards at all, but this is one of the classic varieties, highly prized. 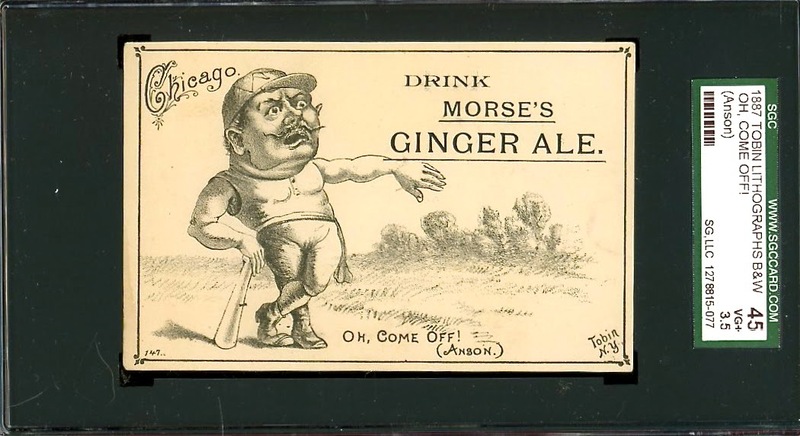 There were zillions of baseball postcards from that era but generally they showed local ball clubs or scenes from famous big city ballparks or ones out in the middle of corn fields--you can find some utterly cool ones on eBay. Great historical items: all-women teams, integrated teams, school boys, and much more. Lou Gehrig, Goudey, 1933: This is one of my most "recent" cards, with the Iron Horse in classic hitting pose. 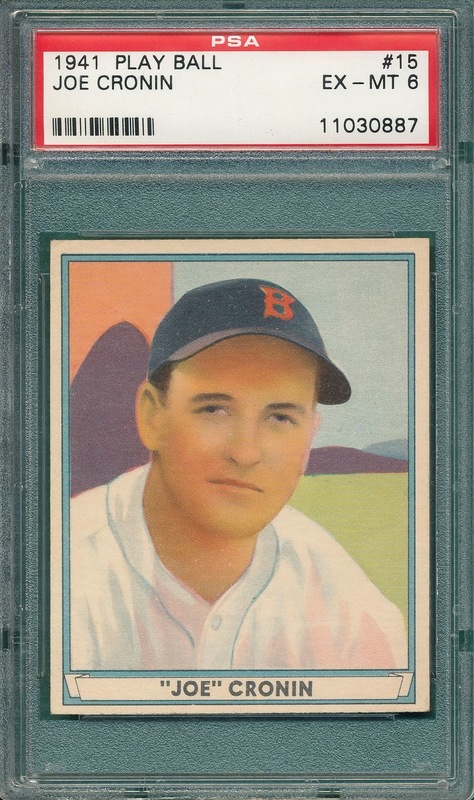 The Goudeys (the card inserts were transitioning from tobacco to candy to chewing gum) were the most popular cards in the mid-1930s. Christy Mathewson, Polo Grounds Card Game, 1914: Going back to the 19th century, playing card companies had always produced sets featuring ballplayers, some quite creative. This is from one of the most famous editions. It also features a cool photo on the reverse of the original Polo Grounds in green. Mathewson was such a revered figure his ID here merely needs to read "Matty." If you don't know his tragic story: He was later gassed during World War I and died at an early age. 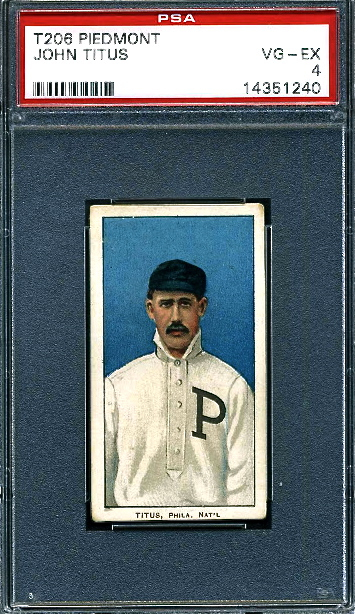 Ed Andrews, Goodwin Champions, 1888: This was the most colorful pre-1900 series, which also starred athletes in other fields. Quite a contrast with the Old Judges above. Early cards were divided between the illustrated and the photographic. Gotta love the hats. Rube Marquard, Cracker Jack, 1914: Of course, these cards are truly iconic, but produced only in 1914 and 1915. Many of them show caramel stains revealing their early life. Give me some peanuts and Cracker Jacks (cards)--I don't care if I ever come back. My card of HOF pitcher Marquard happens to be the highest graded by PSA. 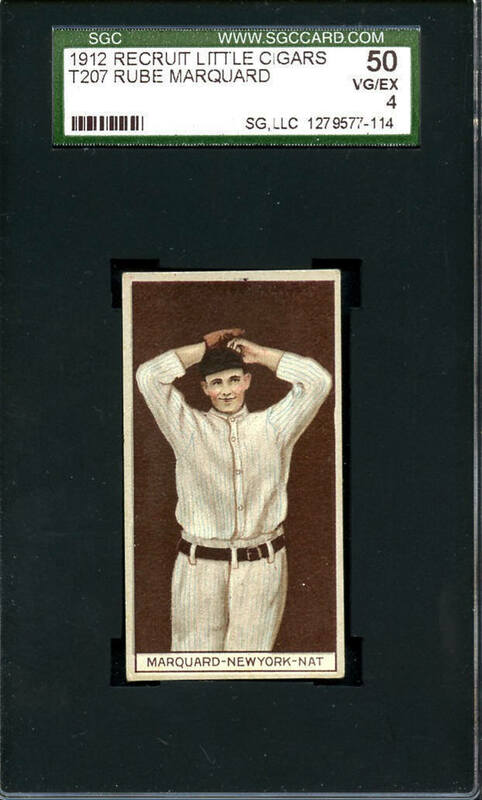 Clark Griffith, T3 Turkey Red, 1909 Great early Hall of Famer in distinctive Cincy Red Legs (formerly Red Stockings) uniform. These over-sized cards are nearly as big as an iPad, and just as cool and colorful (though you can not tweet, phone or take pictures with them). 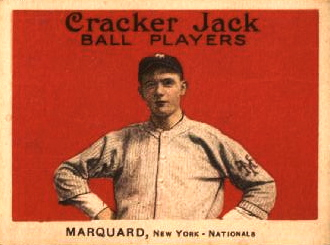 Rube Marquard, t207, 1912: Rube was one of the original "daffy lefty" pitchers and helped my favorite early player, Christy Mathewson, lead the New York Giants to many a World Series. These sepia and brown cards are curiously under-appreciated, which I've never quite understood. 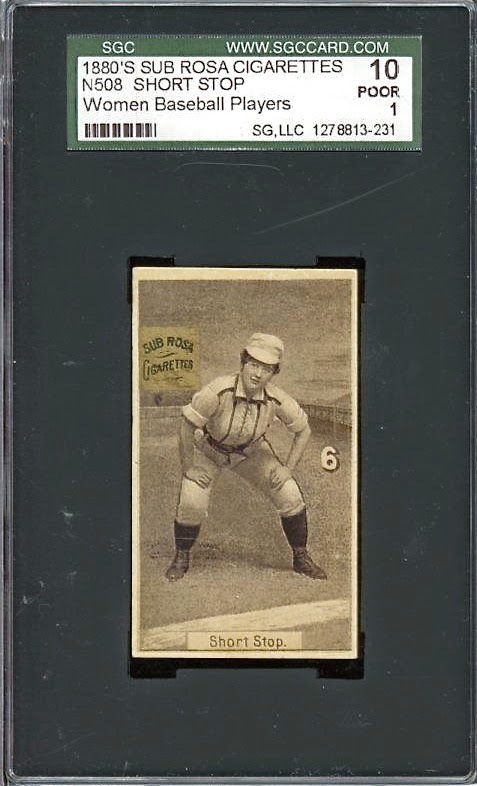 John Titus, t206, 1909: Another example from the famed t206 "monster," as it's known (over 500 cards plus more than a dozen different backs for various cigs, some quite rare, driving collectors batty). Titus is known as only player with a 'stache who is pictured--amazing change in grooming from just a few years earlier. Yes, you can chart that, among other things, via these cards. 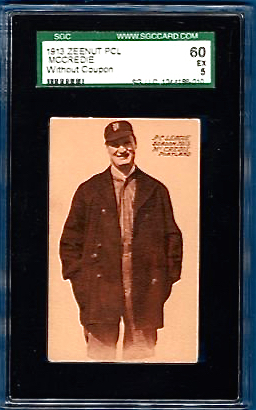 Walter Johnson, W515 Strip Card, 1919 "The Big Train," of course, was one of the five greatest pitchers ever, by most accounting. 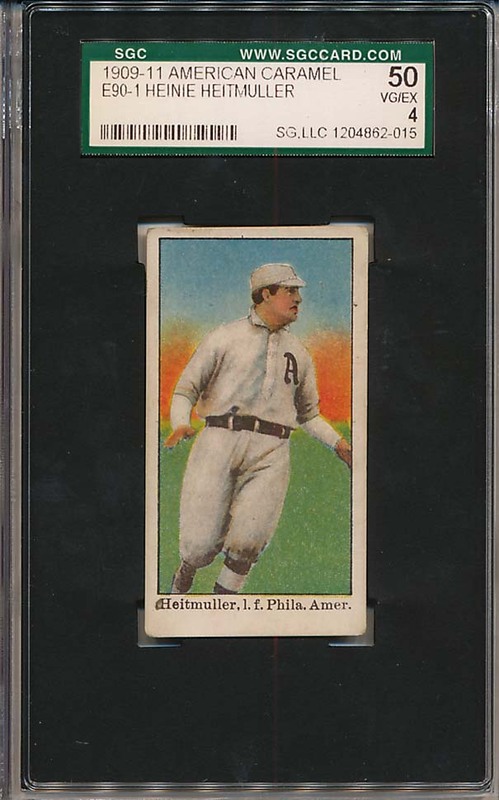 This is a nice example of the popular "strip cards" of the day but they don't get much artier than this. Why? They were cheap little cardboardy things delivered to candy stores on long rolls. Individual "cards" or groups of cards would be torn off by the proprietor in strips. Kids, or parents, then trimmed them to look nicer, like this one. 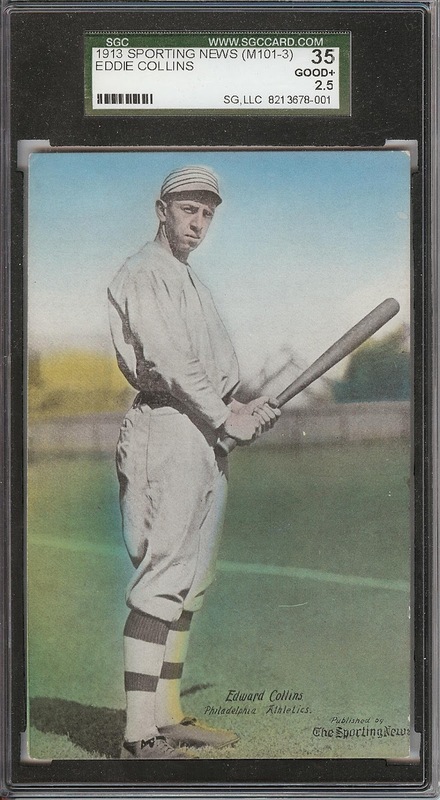 Eddie Collins-Danny Murphy, t202 Hassan Triple Folder, 1910 These cards are oddly not as popular as one might think--despite featuring not one but two players PLUS a cool action photo in-between. As the name of these cards suggest, they were made to be folded into small "screens" to sit on shelves or table tops. 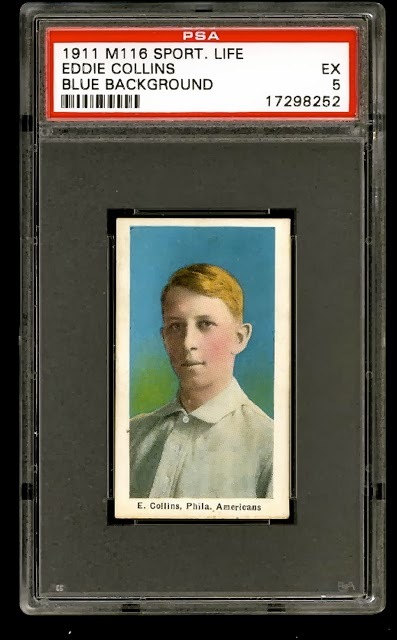 This card stars, at left, Eddie Collins of the Philadelphia A's, probably the most under-appreciated Hall of Famer today. He may have merely been the greatest second-sacker of all-time. The photo in the middle? Nothing less than mega-star Napoleon Lajoie trying to tag out Collins. 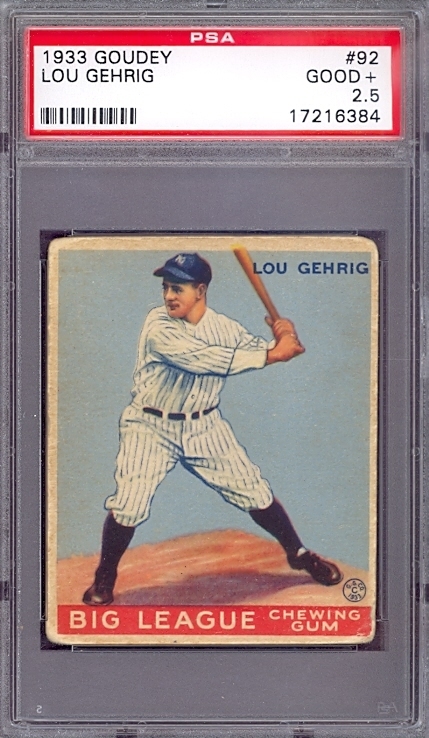 Lou Gehrig, W517 Strip Card, 1931: One of the nicer cards for the original "Sweet Lou," this is a much larger variety of the more common type represented by the Walter Johnson one above. It still had to be cut off a long strip and it's kind of amazing that any endure in fine shape. 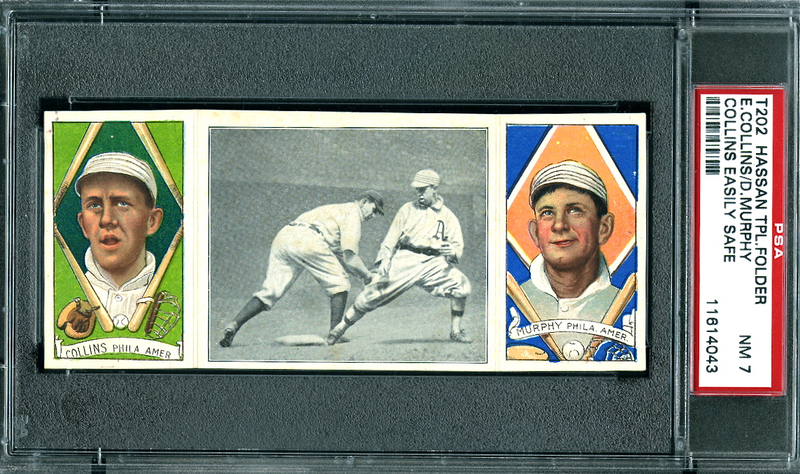 Mike "Doc" Powers, t206, 1909: Another t206, and with a couple of interesting stories. First, in 1905, he formed the first and only all-physician battery, along with "Doc" Newton. 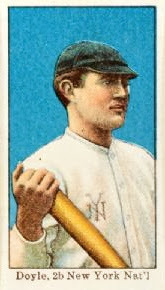 Then, in 1909, at the age of 39, .Mike became the first big leaguer to die as the result of an injury on the field. He had crashed into a wall chasing a pop, suffered internal injuries, and died two weeks later, with the cause listed as peritonitis due to post-surgery infections. 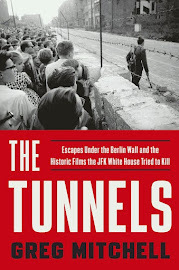 This episode probably inspired the character of "Bump" Bailey in Bernard Malamud's The Natural. 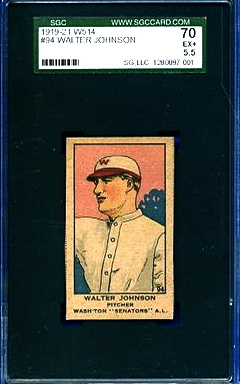 Walter Johnson, e121 American Caramels, 1921: Yes, they did make black and white cards, too! This was in vogue in the 1920s, which was kind of a shame. Color returned in full force in the 1930s, oddly. 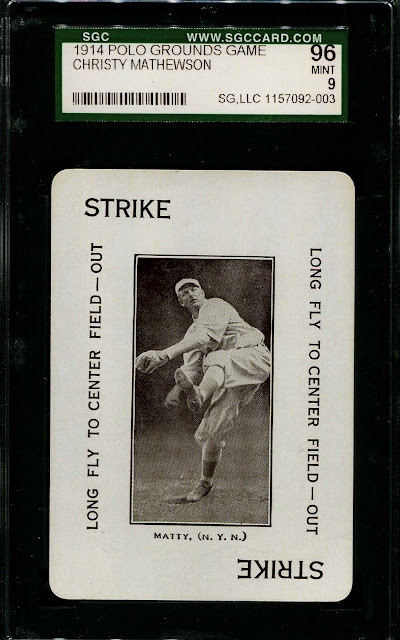 But this "Big Train" card captures his sidearm delivery-from-hell well. 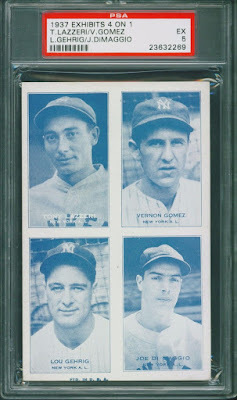 Gehrig, DiMaggio, Lazzeri, Gomez, Exhibits, 1937: Four Hall of Famers for the price of one, and Lou's final year crossing with one of Joe's first. This is an amusing Cy Young postcard--the caption reads, "The things Old Cy didn't do made him famous," and his head is surrounded by a dancing girl, booze, the horses and symbol for playing cards. But he did do some drinking late in his career, for sure. Bill McCredie, 1913 ZeeNut minor league card: Interesting stories abound about this gentleman, a longtime manager in the Pacific Coast League who slyly enabled "colored" players to join his teams for a spell, breaking the prohibition on this, at least for a spell, until inevitably the protests drove the out again. Very nice assortment to start with Greg & your brief comments are perfect! That's a nice variety of cards. Gotta love the artwork and classic look of those vintage pieces. Cool cards! Wonderful collection. What is on the back of most cards from the early years? Stats? Commentary? Advertisement? Wonderful collection. I saw the exhibit at the Met last month. It was almost as good as the punk fashion exhibit. 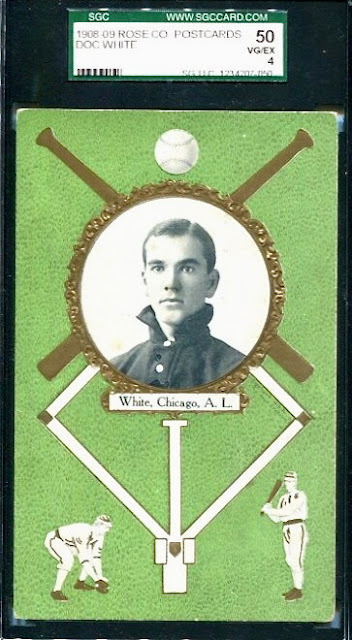 I especially love the old-time Cubs cards. Great collection. I always loved the story about how, when Rube Waddell was pitching, he'd go around town in the morning posting handbills that said "Come and see Rube fan 'em out!" The Babe Ruth Japanese postcard was actually issued in August 1929.